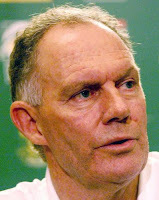 Go to Calcutta, and say Greg Chappell was a better batsman than Saurav Ganguly and you may get away with it. Similarly go to Shivaji Park Maidan in Mumbai and say Sachin Tendulkar is nothing but hype and the youngsters there may forgive you thinking you are Shoaib Akhtar's distant cousin. Even Sharad Pawar's voters in his Baramati constituency may not get provoked when you say Harvinder Singh should get the "Indian of the year" award for 2011. But when you mock at Virender Sehwag after getting him out for a blob on the first ball, be sure that he will not make you forget that in the next match. The next ODI at Indore had more violence than a Ram Gopal Varma movie. 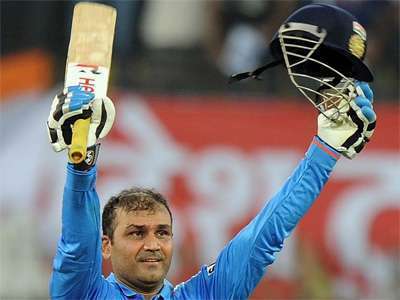 Sehwag's 219 off only 147 balls must have made Darren Sammy sing "Goli maar bheje mein...ke bheja shor karta hai". Finally,for the West Indies, the Nisha Kothari moment came when Sehwag was caught by Roach off Pollard but not before he surpassed Tendulkar's record for the highest ODI score. It seems Chris Gayle described this knock as "Child abuse". Many a cynic argued that Sehwag's innings came against a depleted bowling attack of West Indies and that Sachin's 200 was against a fearsome South African attack and hence Sachin's innings was superior. If that was the case then Shahid Afridi should have scored 400 not out against Canada in the 2011 World Cup. Impressed by the violence, Ram Gopal Varma has announced a new film " Outdoors at Indore". 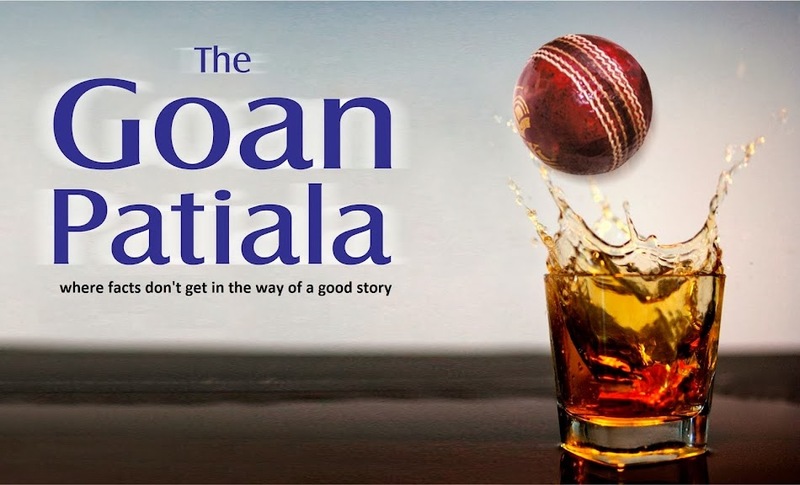 The script , cast etc are not finalized but an item song is picturised on Nisha Kothari and will be inserted at the time when agitated Gautam Gambhir walks back to the pavilion after being run out by Sehwag. Gambhir's role is likely to be played by Manoj Bajpai. Harbhajan Singh's lost bag containing a kilogram of ATM and Debit cards, was found by the Haryana Police. His "doosra", however is still missing. Now only if the Haryana police had found his "doosra" and his form, Bhajji would be in the Boxing Day test match. Soon after the bag was found, the Haryana Police were engaged by the BCCI to find some good fast bowlers in India who do not get injured at the slightest drop of an Kamran Akmal catch. With guys like Pravin Kumar, Aaron and Ishant getting injured, the position of the Indian cricket team looks grim. With bowlers like Vinay Kumar replacing the injured, the day will not be far when Kapil Dev will have to be recalled, said a selection committee member, emptying down a glassfull. Our source informs us that the real reason for Ishant Sharma's injury was on account of he lifting two bread slices together with one hand at the dinner table. Finally it appears that the the day which we all Indians are waiting for with bated breath is nearing. Sachin Tendulkar getting his 100th international century will be a reality this series against Australia. In fact Sachin may even get his first triple hundred or may eclipse Brian Lara's record of 400 in tests or may even get the first 500 in test matches. 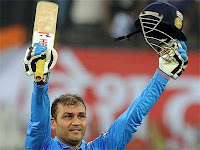 And it has nothing to with Sachin striking back with a vengeance at Sehwag for overtaking his highest ODI score. The real reason is that Greg Chappell has been engaged by Cricket Australia to "demystify" Tendulkar which means he'll baffle his own team first. Saurav Ganguly not only calls spade a spade but this time went a step ahead and called Chappell, "Mad". Saurav also said that Rahul Dravid didn't have enough courage to oppose Chappell. 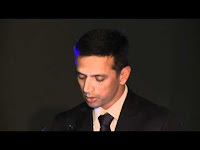 Speaking of Dravid, he delivered this year's Sir Donald Bradman oration at Canberra (perhaps the first non Australian to do so). Of course, the first part of his speech was probably not the finest opening knock - where he spoke about how Indians and Australians fought wars together on the same side and how in the World War II, there were Indian and Australian soldiers in El Alamein, North Africa etc, (how we wished this part of the oration was delivered by Ganguly and Harbhajjan together!). Apart from that Rahul Dravid was simply amazing. Remember Kapil Dev holding aloft the Prudential World cup or Laxman -Dravid, staring at defeat in Calcutta, without a blink, and won the match for India after following on? Or for that matter "the coming of age moment of Indian Cricket" when Ganguly swung his shirt after the Natwest finals or Kumble in Australia saying that there is only one team that plays cricket in the right spirit or Dhoni smashing the six to lift the 2011 World Cup? Dravid's oration was right up there among those moments which really make you proud to be an Indian. Among other things, Dravid rooted for day and night test matches. There's a lot of excitement for this proposal from Dravid. All the Insomnia patients have welcomed this suggestion. Just have an early dinner, and watch Jonathon Trott bat and by 9 pm, you'll be sleeping like a baby. If you are a chronic Insomnia case, then 20 minutes of Shivnaraine Chanderpaul's batting should make you sleep like a log. Rohit Sharma, and Ravinder Jadeja have objected to this as it may eat up into their pub timings and that they may have to rely heavily on "happy hours". Munaf Patel would be the least affected. Even if he sleepwalks on the field in the night matches, no one would notice it. He does the same in the day matches too and we have called it his bowling run up.